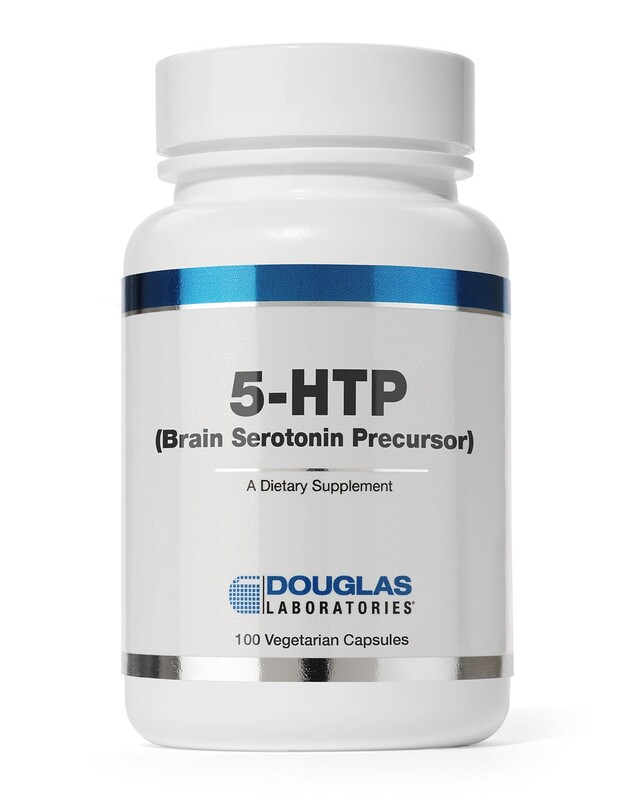 5-HTP, provided by Douglas Laboratories®, contains 50 mg of natural L-5-Hydroxytryptophan (5-HTP) extracted from seeds of the Griffonia plant in each vegetarian capsule. Serotonin, an important brain neurotransmitter, is key in the regulation of appetite, mood, and melatonin production. The presence of serotonin in the brain is associated with a balanced emotional state. This is achieved in part by decreasing the activity of certain excitatory hormones, including dopamine and noradrenaline. Serotonin also acts as a satiety signal in the brain, thereby naturally regulating food intake. Additionally, as a precursor of melatonin, serotonin is involved in regulating sleep patterns. 5-HTP capsules may be a useful nutritional supplement for individuals wishing to obtain the benefits of this well-documented plant extract. One to two capsules per day, between meals or as directed by a physician. Vitamin B6 is necessary for the conversion of 5-HTP to serotonin; thus, to derive optimal benefits of 5-HTP, one must ensure an adequate intake of vitamin B6.